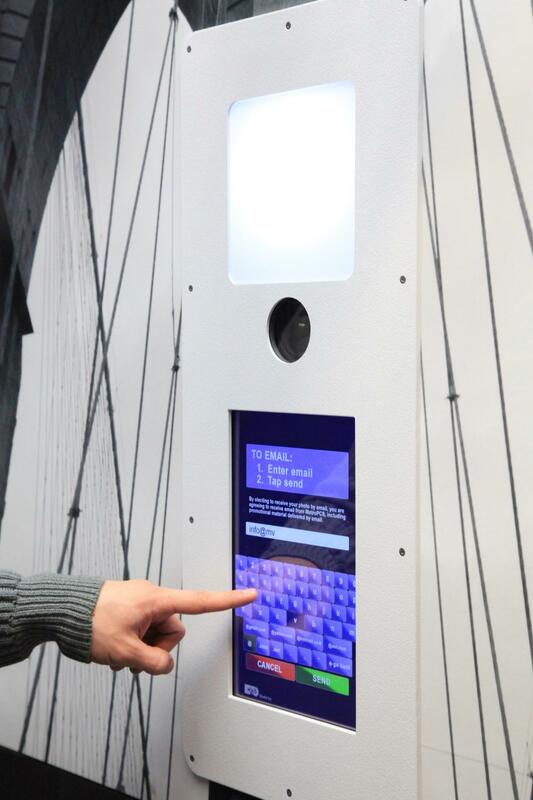 Our newest photo booth fobo was featured in the New York Times. The article focused on how brick and mortar retailers are using photo booths to draw in shoppers and extend their reach into social media. Our celebrity clients Neil Patrick Harris and Kelly Ripa were mentioned in the article as examples of permanent, high end photo booth installations in a residential context. Truth be told, fobo is ideal for any environment where high quality selfies are in demand! It is no secret that the internet has revolutionized how people shop. So what are brick and mortar retailers to do to combat the convenience of online shopping? Many fashion retailers are installing photo booths – not only to offer the shopper a selfie wearing the product, but to spread their message widely online, as branded images are shared on social networks. This kind of give away is central to these brands as they try to amass a loyal following on social media. This is a need we have been servicing with our custom photo booths for several years, as many forward looking organizations have approached us because our images look the best of any photo booth company out there and we can deliver images easily and immediately for social posting. 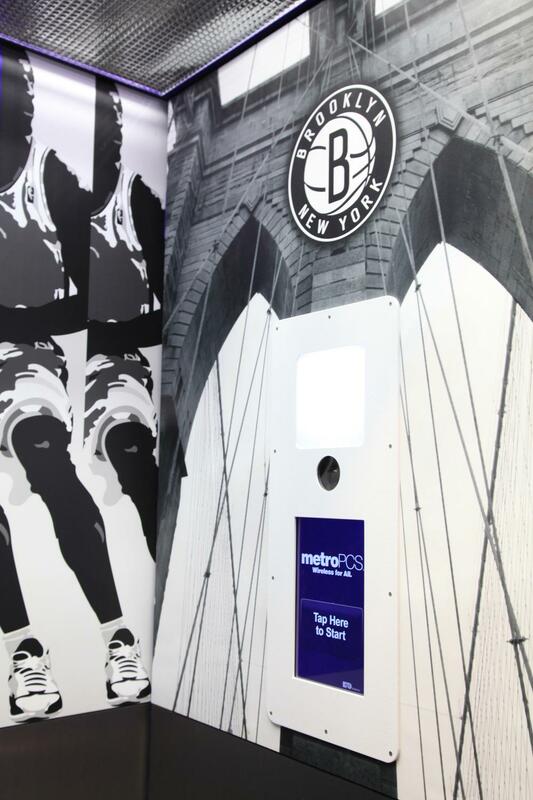 When the finishing touches on the gleaming new Barclays Center were being added, an arena sponsor Metro PCS approached us about building several custom inserts for branded booths that were being built on the concourses. Brooklyn Nets fans set into a phone booth set up, but instead of making a call, they are prompted to take great selfies! 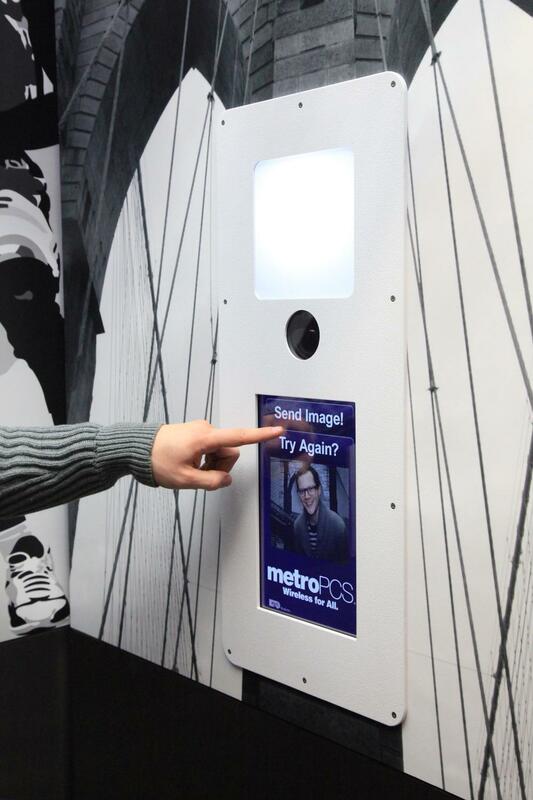 Metro PCS built the structures, but the photo booth technology is all MVS. The inserts sit flush against their booth design and are built for easy access and maintenance. A super tough touch screen ensures long lasting fun over the long NBA season! Fans get a great image, taken against an awesome Brooklyn Nets backdrop and are texted the Images directly to their phones, making them available for immediate social posts. 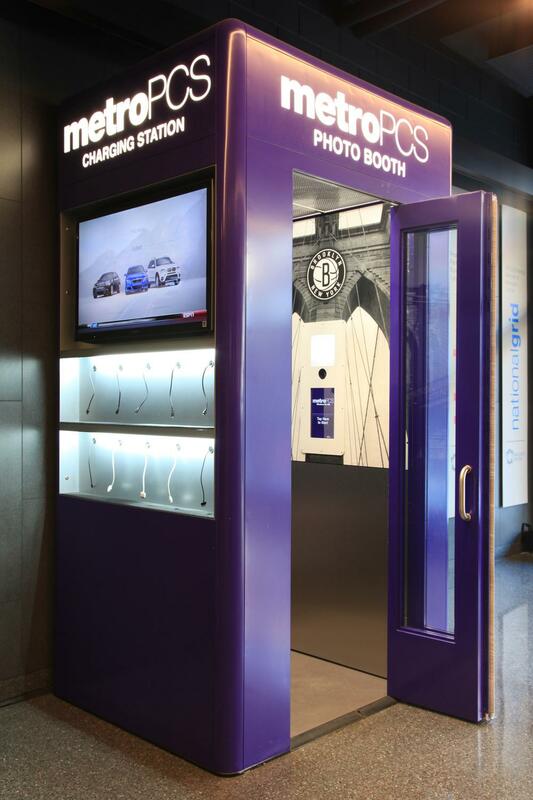 With the photo booths installed at Barclays, Metro PCS wins by providing fans with a fun, branded experience. 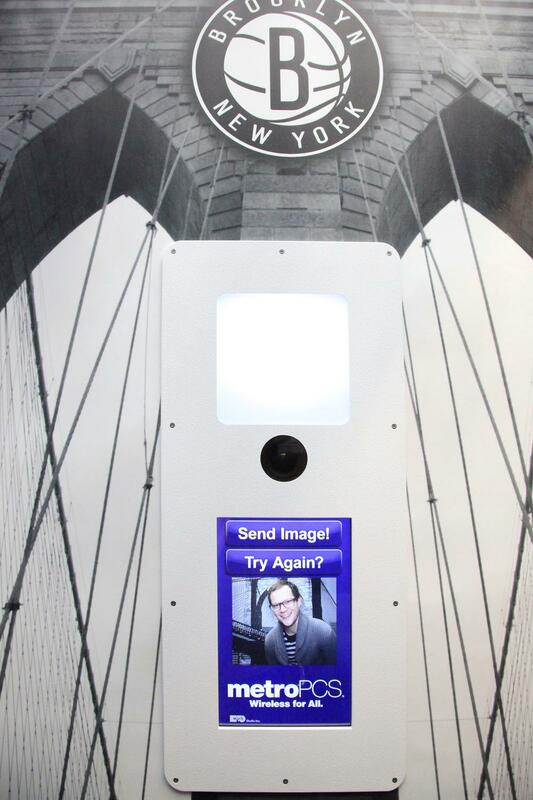 One of our longest running permanent photo booth installations is for The New York Public Library. 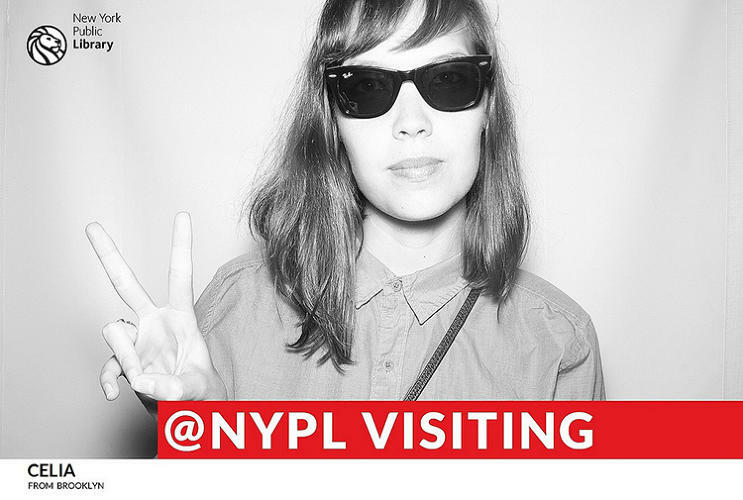 The NYPL has an active, young audience that it wanted to engage with high quality selfies. One of the executives saw our booths at a Brooklyn Nets game and thought to himself, why not at the library? There are multiple reasons that people visit the main branch of the library, and they wanted to tap into that diversity. Our custom interface asks several questions of visitors: Where are you from? and Why are you here? Visitor’s answers are on their image right after they take a picture. A live slideshow immediately shows their image onsite and are immediately uploaded to a Flickr page which now years on, has thousands of unique images. By engaging their audience with great photo booth images and a creative prompt, the library taps into the rich diversity of their visitor base. The project has been written about widely. Check out one of the stories in Fast Company. A great way to attach an experience to a brand, our photo booths give our retail and celebrity clients images that they want to share. 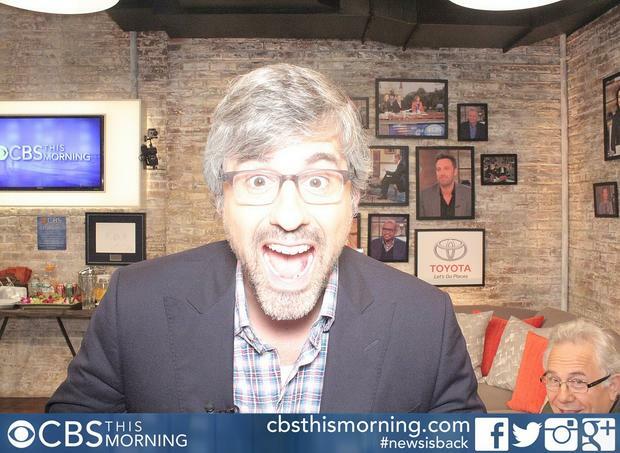 Our new fobo photo booth is the next leap forward into this growing market. Are you a company, arts organization, fashion house or not for profit? If you are looking to extend the reach of your brand, fill out the contact form, we would love to help you reach your goals with great looking photo booth images!